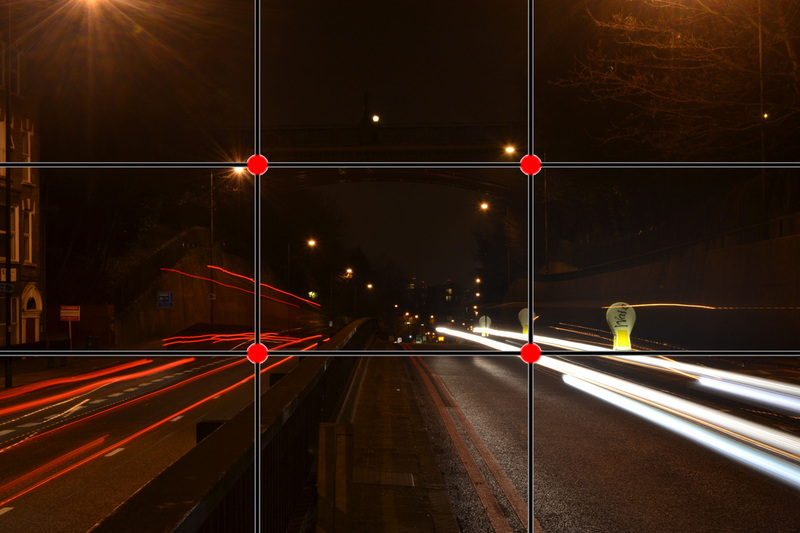 The 'Rule of Thirds' is a guideline of laying out the composition of your photographs that helps you when creating photographs or artworks. It states that images should be split into three sections horizontally and vertically, into nine equal sections by placing two equally placed horizontal and vertical lines. 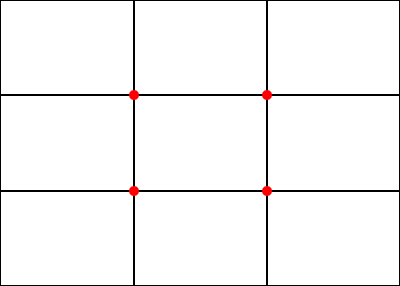 The most important parts of the composition should be situated on top of or near to where the horizontal and vertical lines meet, this is shown by the red dots on the graph to the right.